There are times in all our lives, where we reach a turning point. These turning points can come in moment of great joy, but often they come at darker times – times of stress, confusion, pain or grief. The women who come to our domestic violence shelter are all facing uncertainties and fears, and the memories of past trauma. During these times, talking about experiences, hopes and dreams can be healing. But sometimes, speaking the words can be stressful in and of itself. What do you do, when words are not enough? Or too much? 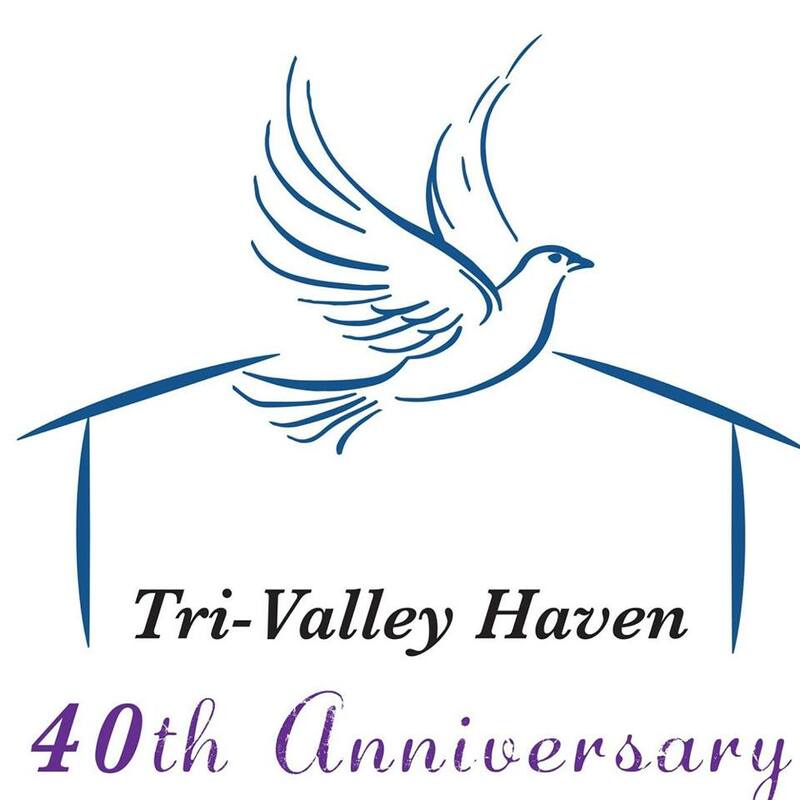 Tri-Valley Haven has an Art for Healing program at our domestic violence shelter. 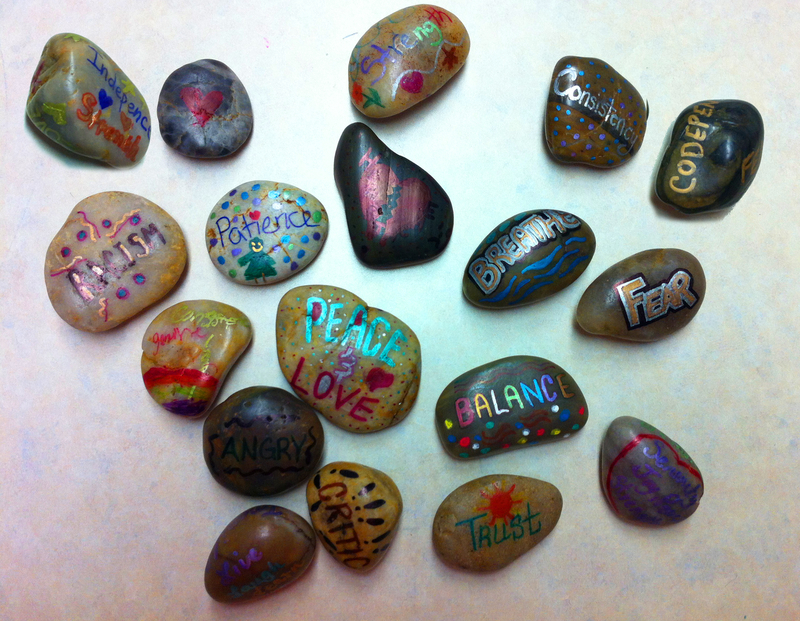 Every Wednesday evening, the women in residence gather together for an hour of art, music, and healing. 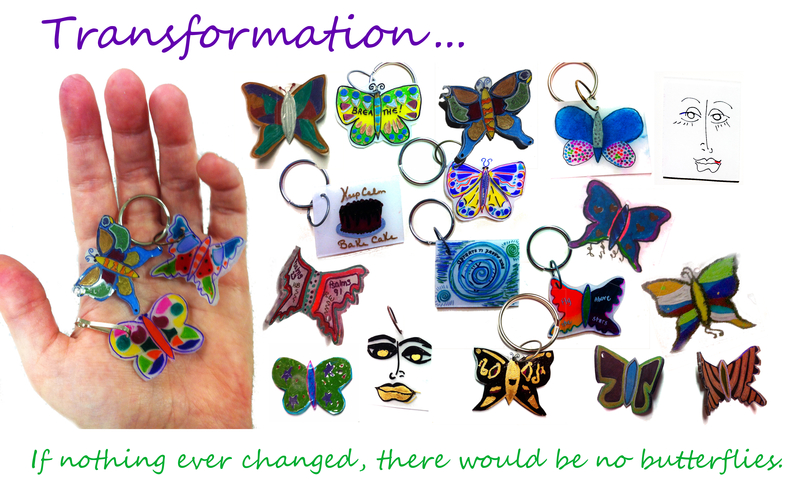 The projects we do can vary from classical art techniques like watercolor, to mixed media like collage, and to the more light-hearted like using Shrinky Dinks (did you do those as a child? ), beads, clay and other creative outlets. 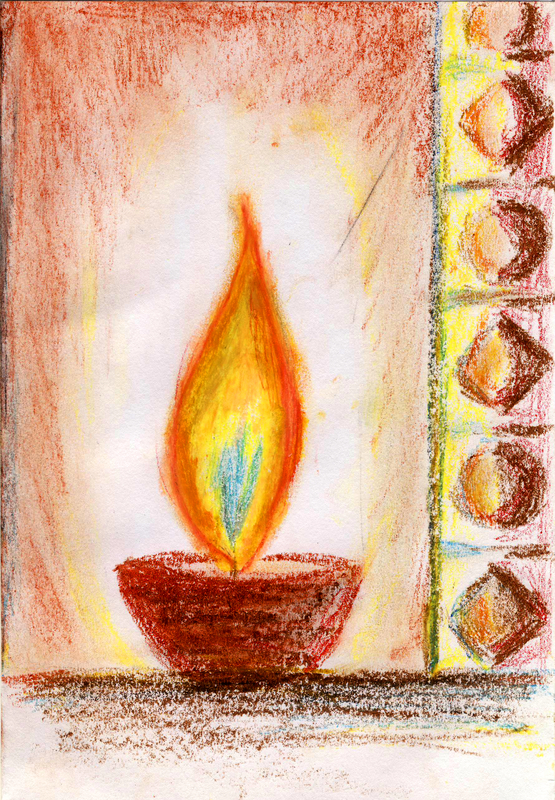 During the whole month of December, over 80 pieces of artwork created in this program are on display at the Livermore Public Library, at 1188 South Livermore Avenue, just off the cafe. If you are in the area, we urge you to take the time to drop by and see these in person (and I can assure you that the coffee at the cafe is really good – we had some while we were setting up!). In addition to the artwork, there is more information about our programs and about the art projects themselves. I think you will be moved by what you see. If you live farther away, I want to share with you a few pieces of work from the exhibit, and also to share with you some quotes by women who participated in our program. If you would like to help support this program, donations of new art supplies are greatly appreciated and very useful. Please call (925) 449-5845 if you’d be interested in helping to keep the program going. You would be changing lives for the better. A Source of Strength and Courage – Collage and mixed media. 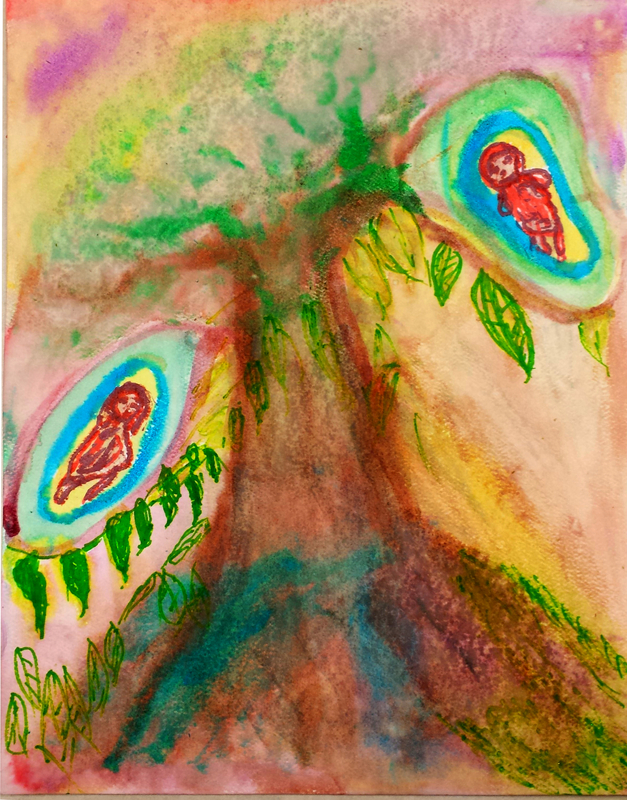 This story was featured on the newsletter of A Window Between Worlds as part of their “Impact Spotlight.” A Window Between Worlds is the non-profit that provides training to domestic violence shelter staff to use artwork with survivors of domestic violence to help in the healing process. We have been using their “Women’s Windows” program for the past year. I thought I’d pass the story along to our own blog so you can share it as well. This happened some time in the last year with one of the residents at our shelter. Her name has been changed to protect her identity. 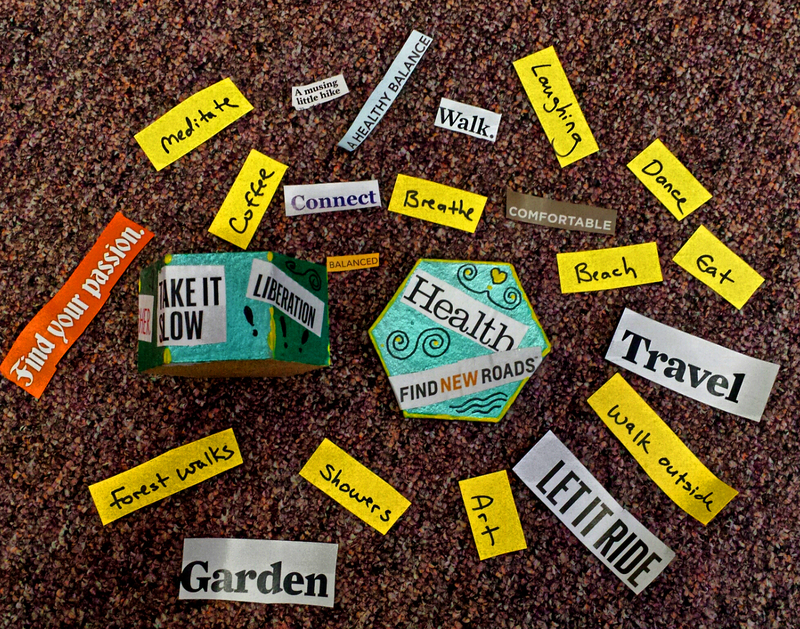 “I did a Self-Care Box workshop, in which I had the residents of my group write self-care ideas on slips of colored paper (things like taking a walk, deep slow breathing, etc.). Then they decorated small hexagonal boxes with paint and collage in which to keep the suggestions, to draw out when they felt stressed. “She told me that she felt a little bad because the week before she had been kind of ‘flip’ about the group (although I hadn’t noticed she had been!). She also said that during the week, she’d had a really bad morning. She was feeling stressed, her kids were out of control, and she was having a really hard time keeping perspective and controlling her temper. “It gave me goosebumps, and so I wanted to share this story with you! In our lives, there are many “stepping stones” – events or hopes that lead us from one stage to another. In this workshop, we asked the women to create a stepping stone symbolizing something they wanted to step away from, and a stepping stone embodying something they wanted to move toward. These beautiful creations are the result. Recently, I have begun leading a support group* at Shiloh, our Do mestic Violence Shelter, that concentrates completely on using art as a means for our residents to explore emotions, experiences, fears and hopes in a way that is safe, creative, and expressive. 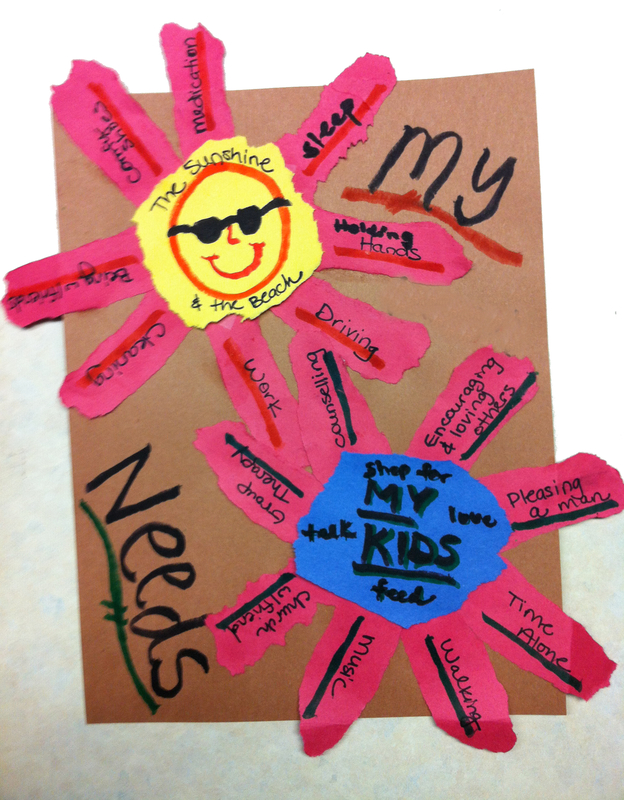 Art workshops provide a unique way to assist survivors of domestic violence in healing from the trauma of abuse, finding their voice, and building the courage to make healthy decisions for their future. 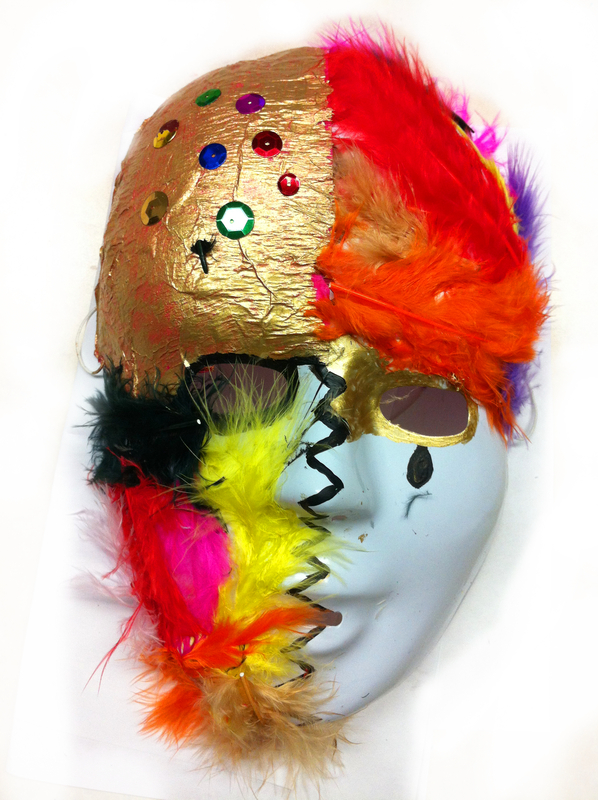 For victims of domestic violence, art workshops provide a special window of support to share the complexity of their emotions, discover that they are not alone, and are not to blame for the violence. 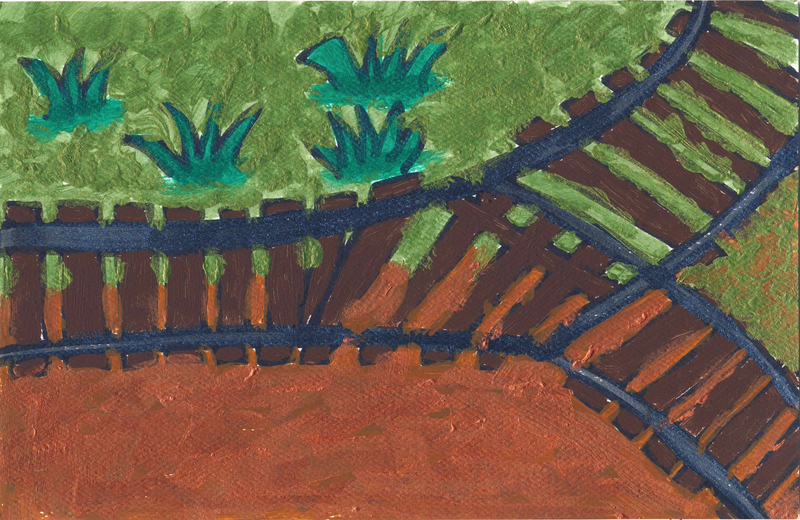 The art also helps survivors build healthy ways to handle anger and communicate non-violently. What are your needs? Do you need fresh air? Relaxation? A good book? What are the things that make you whole? At first, I wondered if the workshops would be well-received. Would a group of adult women really want to get together and play with colored pencils, paints, sequins, or construction paper? Would it really do that much good compared to the more “serious” groups like our domestic violence support group, or life skills? The group was set up as completely voluntary—you do not have to attend it as part of working the program at our shelter. Since it wasn’t mandatory… would anybody come? I had an image of me sitting alone in the conference room with a heap of supplies and a quietly ticking clock on the wall. As it turns out, I shouldn’t have worried. The groups are really popular—when it comes right down to it, art can be an amazing way to build community, and safety, and even restore a sense of fun that the women who stay with us might not have felt for many years. And the results are beautiful. * The training I received for this support group came through A Window Between Worlds, which provides training for domestic violence programs so that they can institute therapeutic art groups for women or children in their shelters. Hands can carry a lot of meanings – especially for survivors of abuse. Hands can be used to hurt. But hands also can be used to hug a child, build a bookshelf, create a painting, reach for a flower, hold another’s hand in trust. 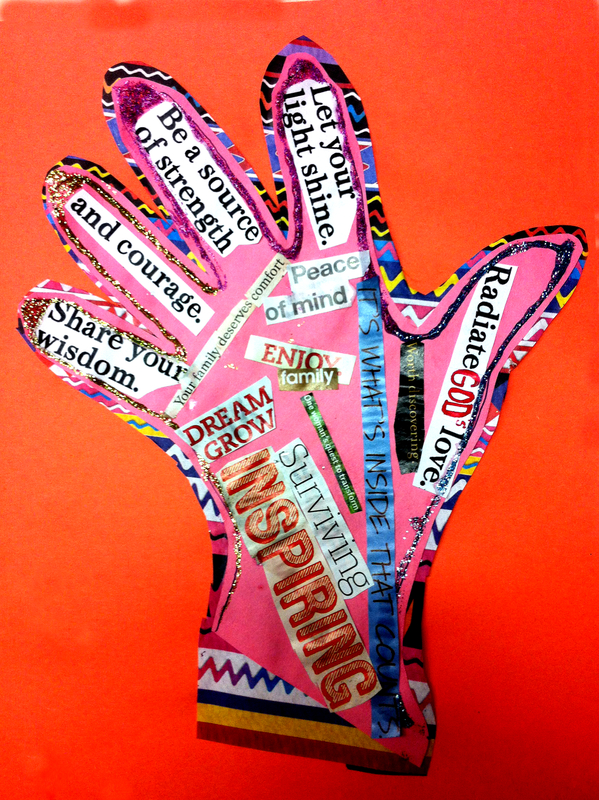 Part of this workshop, which involves painting one’s own hand, is the reclaiming of the hand as something positive. 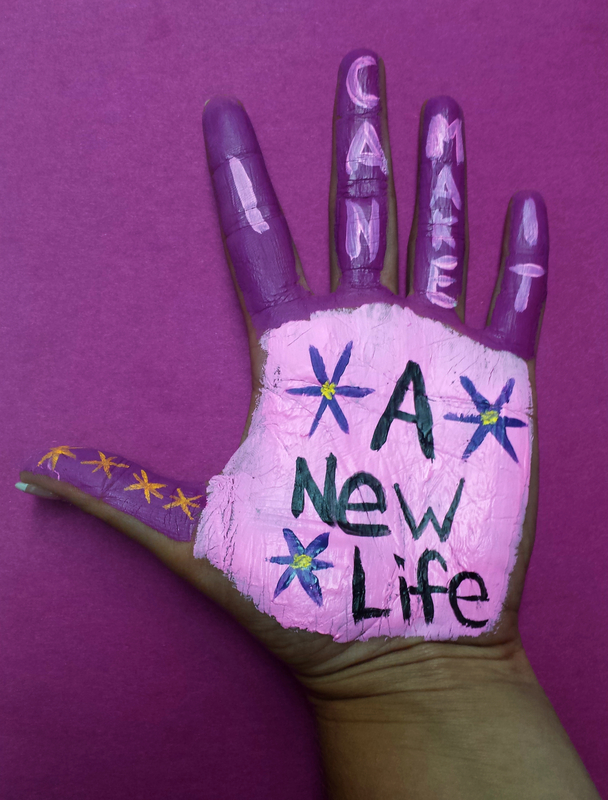 Our hands are how we reach out into the world and change it – and ourselves – for the better. What we ‘can’ do is reflected in our hands. That is why we ask our participants to express their “I Can” on their own hands.